Mr. Peter Brooke is Co-Founder of Brooke Private Equity Associates. Mr. Brooke serves as an advisor to BPEA. Mr. Brooke’s long and successful career in venture capital and private equity began in the 1950’s. After a brief time in the U.S. Army, he joined the First National Bank of Boston as a loan officer. While at the bank, he helped form the High Technology Lending Group and began his deep involvement in venture capital investing. Mr. Brooke left the First National Bank of Boston and became the head of venture capital and special situation investing at Bessemer Securities Corporation in 1961. In 1963, he left Bessemer to form a venture capital management company with the partners of Tucker, Anthony & RL Day, a New York Stock Exchange member firm. Three years later, Mr. Brooke became the partner in charge of Tucker Anthony’s corporate finance and venture capital departments. In 1968, he formed TA Associates, which has since become one of the largest venture capital firms in the United States. While managing the operations of TA Associates, Mr. Brooke began his interest in the application of venture capital in international markets. In 1973, he co-founded Sofinnova S.A. in Paris, France, with the French Ministry of Industry and Crédit National. Sofinnova is the European Continent’s oldest venture capital firm. Building on this experience, Mr. Brooke helped to establish numerous leading venture capital firms in Europe, Asia, and Latin America over the next decade. Mr. Brooke’s interest in international venture capital led to the formation of Advent International Corporation in 1984. Advent is the successor to the international operations of TA Associates. Mr. Brooke became Advent’s Chairman and Chief Executive Officer upon leaving TA in 1984. Under his leadership, Advent grew to be one of the world’s largest and most respected private equity firms, implementing the investment approach in Europe, Latin America, Israel, and Asia. 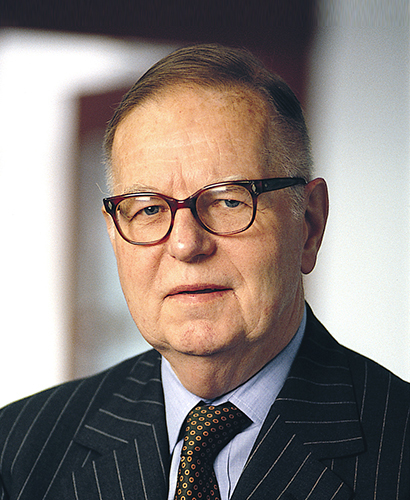 In 1996, Mr. Brooke retired as CEO of Advent but remains as its active Chairman. Today the firm has $24 billion in cumulative capital raised, over 140 investment professionals and offices in 15 countries. Advent has invested in over 590 companies in 41 countries. Mr. Brooke served as Chairman of the Board of Trustees of the Boston Symphony Orchestra. He is a former Overseer of Harvard University, and Trustee of Colgate University, the Eisenhower Exchange Fellowship, and the Middlesex School. Mr. Brooke is a member of the Private Equity Hall of Fame and recipient of the National Venture Capital Association’s Lifetime Achievement in Venture Capital Award and Harvard Business School’s Alumni Achievement Award. He is a Fellow of the American Academy of Arts and Sciences. The Boston Business Journal named Mr. Brooke one of Greater Boston’s 100 most influential business people of the 20th century. Mr. Brooke was educated at Harvard College and Harvard Graduate School of Business Administration.